The suspension of Nigeria’s most senior judge by President Muhammadu Buhari broke international human rights standards on the independence of the judiciary and the separation of powers, a United Nations expert has said. “International human rights standards provide that judges may be dismissed only on serious grounds of misconduct or incompetence,” said Diego Garcia-Sayan, the UN special rapporteur on the independence of judges and lawyers, on Monday. “Any decision to suspend or remove a judge from office should be fair and should be taken by an independent authority such as a judicial council or a court,” he said in a statement. Buhari, who was a military ruler in the 1980s and was voted into office in 2015, is hoping to win a new term in a presidential election scheduled to take place on Saturday. The chief justice could preside over any dispute over the election result. Nigeria’s judiciary has helped resolve electoral disputes in past votes, some of which have been marred by violence and ballot rigging. Garcia-Sayan, who is mandated by the UN Human Rights Council to investigate legal and judicial independence, said dismissing judges without following legal procedures or offering a chance to contest the decision was incompatible with the independence of the judiciary.Buhari suspended Chief Justice Walter Onnoghen on January 25 following an order by a tribunal on public officials’ conduct and replaced him with Ibrahim Tanko Mohammad. But four courts superior to the tribunal had already ordered a stay of proceedings and the tribunal had previously said it lacked jurisdiction over cases involving judicial officers, Garcia-Sayan said. The UN statement said some of the judges and the defence lawyers involved in Onnoghen’s case had been subject to serious threats, pressures and interference. The move prompted anger among the country’s civil society groups and opposition. Last month, the Nigerian Bar Association (NBA) decided to embark on a two-day warning boycott of all courts in Nigeria over Onnoghen’s suspension. 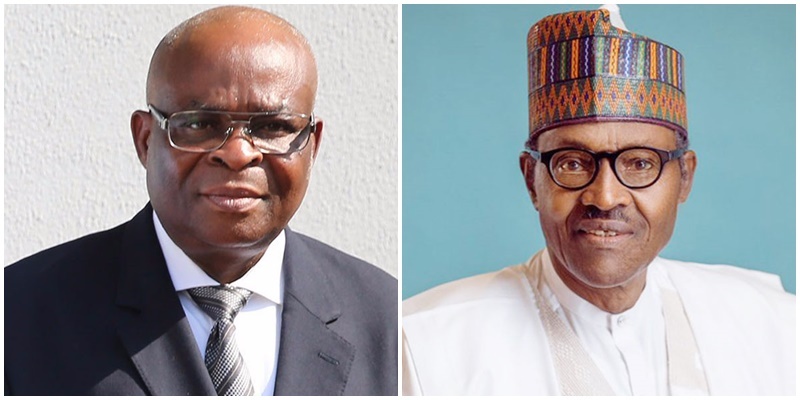 The NBA and local civil society associations held protests in Abuja and southeast Enugu state to reject Onnoghen’s suspension, calling it an “attempted coup against the Nigerian judiciary”. Critics say the suspension is an effort by Buhari to weaken Nigeria’s judiciary and pave the way for his election to a second term in the February 16 vote. Amid heightened tensions before the vote, observers warned against election-related violence. Oil-rich Nigeria struggles with multiple security challenges, including the decade-old Boko Haram rebellion and Buhari’s 2015 election was a rare peaceful transfer of power. Diplomats have urged the top candidates to sign a peace pledge.